MON, Nov. 26, Glen Burnie, MD - The Maryland State Youth Soccer Association (MSYSA) is excited to announce the onboarding of Jessica Hafer, Maryland's new state registration and membership specialist. Jessica started at MSYSA on Monday, October 29. 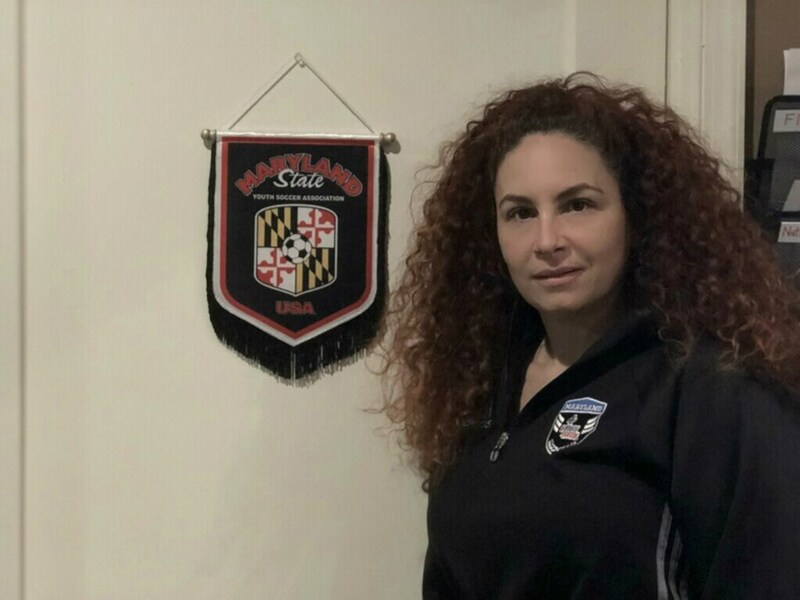 She is responsible for travel and recreational registration, membership, managing Maryland Independent teams, Certificates of Insurance, and administratively assisting with the Maryland State Cup and Presidents Cup. "Jessica has been a great addition to our staff here at Maryland State Youth Soccer," MSYSA Executive Director Flo Egan said. "Her experience and expertise with technology is a tremendous asset for us. Jessica has been working with our affiliates to bring them up to speed with regard to our new registration and membership platforms. Jessica's knowledge and skill set will take our registration process to a new and advanced level. Her combined energy, positive demeanor and willingness to serve our membership is a perfect fit for MSYSA. We are excited to have her on board." Jessica has served the Maryland soccer community as the MSYSA North Regional Commissioner, the Maryland State Olympic Development Program 2004 Boys team manager, the FC USA Director of Registration, and as a Pipeline Soccer Club team manager. "I am excited to help our affiliate members become successful in learning the new Stack Sports system," Jessica said. "I want to continue to do whatever I can to get players on the field to do what they love." MSYSA is a US Youth Soccer National State Association and is affiliated with both US Youth Soccer and the US Soccer Federation. The mission of MSYSA is to serve as the primary advocate for youth soccer in the state. MSYSA is dedicated to offering the highest quality soccer education, player development and programs while fostering sportsmanship, fitness, diversity, teamwork and passion for the game. US Youth Soccer - "The Game for ALL Kids!" is the largest youth sports organization in the country and largest member of the United States Soccer Federation, the governing body of soccer in the United States. US Youth Soccer registers more than 3 million players annually, ages 5 to 19, and over 900,000 administrators, coaches and volunteers in 55 member State Associations. US Youth Soccer programs provide a fun, safe and healthy environment for players at every level of the game. For more information, visit www.USYouthSoccer.org.